In my experience, a shocking number of business professionals have very little fluency in Excel. Many are intimidated by it or don’t perceive it worthy of the time it takes to learn the basic productivity-boosting functions that Excel offers. Instead, they choose to slog through the data, or shoot it to some poor underling to do for them. For the entry level candidate, making yourself the resident Excel expert presents an opportunity for visibility and advancement. If your office is like those I’ve worked in, the resident Excel expert gets a huge amount of cache simply for spending a few minutes working your “magic” on a given data set to make it more easily usable by your office mates. Even executives will know your name and seek you out. 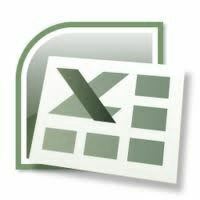 This very helpful little guide shows how to export your excel data into a csv file and then import them to MySQL using a command. I’ve used it many times in the past and I keep it handy in my bookmarks. I managed to work recently on many sites that required importing Data into Sitecore from an Excel Sheet. These Data might be from Sharepoint, xml, Migrated data, actually any kind of data that you managed to store in Excel and need to import into Sitecore. Below, a number of code snippets that allows you to do so by using CSharpJExcel.Jxl library to read Excel sheets. Create a method to that takes the destination path (where the new Item would be stored in Sitecore tree), Item name and the template ID from which the new Item would be created. Once the Sitecore item is created, you can loop through all the item fields to update the Sitecore Item field with the new value. This method takes a Sitecore item, Sitecore field and the new value to update the field. Part 2 – Power Query API – Parameterized Data Indeed! This the second part in the Indeed! Series and we will cover how to parameterize a query in Power Query. In part 1 we setup our Indeed API calls to gather some basic data with Power Query. The file from Part 1 can be downloaded here. This probably didn’t help a whole lot of people out unfortunately; unless you are a software engineer in Austin, TX. Hopefully you have had a chance to go over to Faisal Mohamood’s blog and read up on parameterizing a Yelp query or for a crazy parameterization in Power Query you can check out Devin Knight’s blog post.